← Warming, Global Cooling & Climate change – Are We That Stupid? From ‘Family Health Freedom Network‘. See the source article here. In this day and age, it’s very dangerous and naive for us, health professionals included, to assume that health authorities and pharmaceutical companies have our best interests at heart. We are living in a time where people are pushing for the freedom of information and as a result, it’s coming to the surface. For years, a massive amount of advertising has led people to believe that all vaccinations are safe and necessary. Many individuals continue to promote themselves as believers of science, without actually looking at and examining the science behind vaccinations. Meanwhile, babies and children are bombarded with a rigorous North American vaccination schedule that more and more parents are choosing to opt out of. Much of this mistrust has to do with the lies and cover-ups from health authorities and vaccine manufactures, who have been involved in a 30 year scandal. Note: As the links to access the paper by Dr. Tomljenovic revealing the vaccine fraud seem to have been removed, Family Health Freedom Network recovered the original link. Click HERE to access the paper! Documents reveal that the JCVI made “continuous efforts to withhold critical data on severe adverse reactions and contraindications to vaccinations to both parents and health practitioners in order to reach overall vaccination rates, which they deemed were necessary for “herd immunity.”(1) Wouldn’t it be illegal to deliberately conceal information from parents for the sole purpose of getting them to comply with an official vaccination schedule? Is this not an ethical violation? All potential adverse effects should be known and completely disclosed, especially with regards to vaccines, which are administered to individuals to prevent disease of which an individual will most likely never be exposed to. Many of them contain harmful toxic chemicals. In summary, here are what the transcripts appear to show with regards to the JCVI/DH meetings that took place from 1983-2010. The report goes on to provide some incredible and shocking information that is important for people to know. The report is cited in the article, but again, you can read the full version HERE. In the last 30 years, the United States vaccine schedule has tripled, along with various ailments and disease. 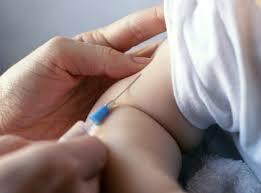 From birth, babies are bombard with a variety of different vaccinations. As a result, many have died, fallen ill and acquired a number of health problems. A 1986 National Childhood Vaccine Injury Act, passed by congress as a result of pharmaceutical lobbying shields pharmaceutical companies and drug companies from injuries and deaths caused by the vaccines they manufacture. So, regardless of vaccine manufactures and health authorities knowing about the dangers associated with vaccines, and covering them up, they are still protected. Nevertheless, taxpayer money has dished out billions of dollars in vaccine injury related ailments. This entry was posted in AGENDA 21, drugs & medication, HEALTH, New World Order, vaccines, World Issues and tagged Ethics, HEALTH, Public health, Vaccination, Vaccine. Bookmark the permalink. I’m still glad my parents chose to vaccinate. No doubt both sides of the equation have benefits. Most important that parents have an informed choice.